Happy Valentine's Day everyone! We love this day and what it represents - love and giving! So we want to give back to you, our awesome readers! We are giving away 3 Ferrero Rocher mini chocolate heart-shaped boxes! To enter, just follow the steps in the form below! Contest closes Monday, February 15, 2016 at 11:59pm PT. Winners will be contacted and announced on our Facebook Page. Good luck and thank you everyone for entering! Happy Valentines Day Everyone, Thank You for the chance to win this lovely gift! The heart shape full of your delicious candies is a brilliant idea for Valentine's Day!! Love chocolates expecially ferrero Rocher. It's so good. 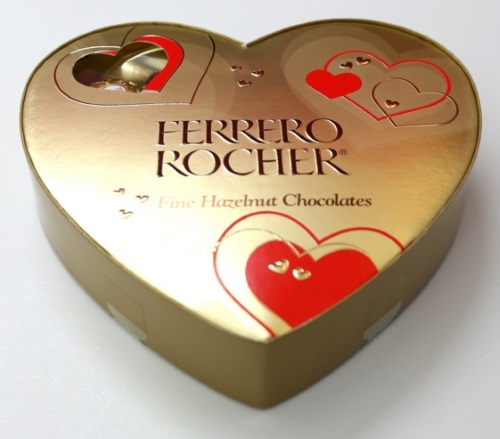 Thanks for the chance to win some Fererro Roche chocolates for Valentines day!